Welcome to Manor Karate Center! 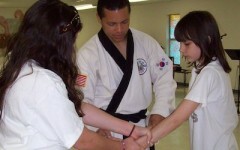 Manor Karate Center was founded in 2007 by Michael Lytle. Shortly thereafter Jennifer Lytle added her skill set to the company. MKC currently has established relationships all throughout the martial arts world and has filled out their offerings with guest instructors from multiple disciplines and expertise. If you are interested in working with one of the instructors below, please contact us. If you would like to be taught a specific discipline not mentioned below please contact us to determine if one of our guest instructors is a professional in the discipline of your desire. Michael has a vision for teaching and has done so in multiple capacities since 2000. Mr. Lytle began teaching after school karate in 2001 for the Karate School, in Pflugerville, TX and has taught martial arts ever since. He also worked with special-needs students for the Manor School District for almost a decade and was student and young adult pastor/director of Youth Uprising Ministries of Trinity Chapel in Austin, TX for eight years. Sa Bom Nim Lytle holds a fourth degree black belt in the traditional Korean martial art of Tang Soo Do, having originally trained under Sa Bom Nim Donny Meadows. Half way through his traditional karate training Michael entered the full-contact-karate circuit and won numerous awards in full-contact-karate tournaments. Learn more about Michael’s traditional marital art. Michael has trained since 2003 in Brazilian Jiu Jitsu, Muay Thai and Judo. He has competed and won numerous BJJ tournaments and began competing in Mixed Martial Arts competition in 2008. He won two light-weight MMA titles during his career. Find out more about Michael’s MMA career. Michael was one of the founding members of Texas Parkour. Since 2003 he has been not only practicing the “spartapline” but discussing, writing and defining the philosophy. He has been featured in documentaries, news reports and photo shoots and has performed numerous parkour demonstrations. Find out more about Parkour, aka Free Running. Michael has been designing fitness plans since he started working out in 6th grade. He has a famous blue binder stuffed with all the workout plans he has designed and tested and taught. 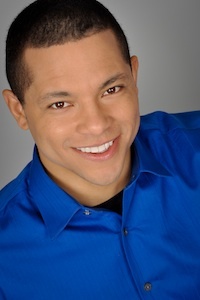 He has designed nutrition and fitness plans for non-profit organizations as well as numerous individual clients. He is currently a personal fitness instructor for a state-of-the-art training facility called Intense 22 Fitness. Michael has a B.S. degree in Theology from Oral Roberts University and is near completion of his Masters of Divinity from Fuller Theological Seminary. Jennifer Lytle is the head dance instructor for Manor Karate Center. She began training in dance at the age of six and has danced ever since. She trained in ballet, jazz, tap, and hip hop. 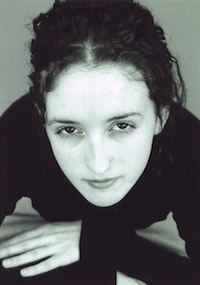 Jennifer has been both member and leader of several performing dance teams. Most recently she was a leader and performer of a hip hop dance ministry team at her church in Huntsville, TX. She has most recently performed with The Austin City Ballet and En Avant Dance Company. Jennifer is passionate about reaching young people with a positive message and sees dance as the perfect medium to do so. 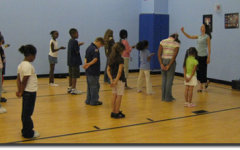 She has organized and carried out numerous dance presentations for schools and festivals with elementary and middle school aged students. Jennifer has a B.S. degree in Sociology with a minor in Theater from the Sam Houston State University and is near completion of her Masters in Counseling from Liberty University.